Roughly 54 per cent of the world’s population now lives in cities, with Asia and Africa urbanizing faster than other regions. Urbanization is generally seen as a route to rising prosperity and better living standards. But critical researchers like David Sattherthwaite and Diana Mitlin argue that standard ways of measuring poverty underplays its significant scale. The risks? Without a complete understanding of the nature and scope of urban poverty, policymakers may fail to prioritize and worse still, lack the tools to tackle it. This, even as more and more people move to cities in search of jobs, better schools for their children, more security and better public services among a laundry list of benefits conflated with life in the cities. 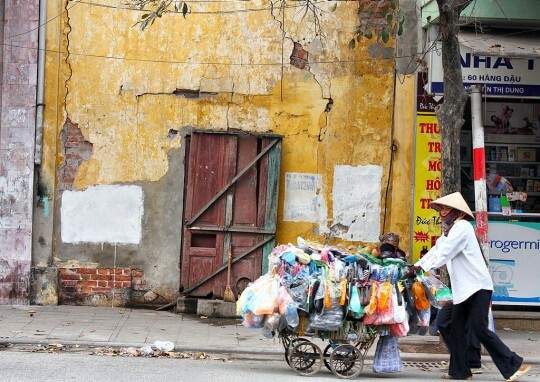 Since 2009, the United Nations Development Programme has worked with Viet Nam’s Ho Chi Minh City authorities to assess poverty using the Multi-Dimensional Poverty Index (MPI) a lens that is less susceptible to the shortcomings that more traditional yardsticks are riddled with. Developed by the globally-acclaimed poverty gurus Sabina Alkire and James Foster, the MPI allows us to measure the extent and intensity of poverty by unpacking the deprivations that manifest themselves to make an individual or family ‘poor’ (e.g. health, education, and living standards), rather by looking simply at amount of money households earn or spend. Although the MPI was not designed specifically for urban contexts, the city officials worked to identify indicators that reflected the challenges faced by residents. They added two new dimensions — Access to Information, and Employment and Social Insurance — and employed 11 urban-focused indicators. 1. Poverty is much more prevalent in urban areas than generally acknowledged. Many more residents of HCMC qualify as “poor” when viewed from a multi-dimensional lens (approximately 16%), than when applying the official income poverty line (almost 0%). This tells us that whilst urban residents may have higher incomes than others, they still lack basic requirements — and higher income alone does not always equate to a higher quality of life. 2. Income alone is not a good indicator of poverty. In HCMC, there is very little overlap between the group that is income poor and the group that is multi-dimensional poor. This suggests that a uni-dimensional approach (like income or consumption) often conceals the serious deprivations faced by households. 3. Urban poverty is characterized by different patterns and scopes of deprivations: Lack of health insurance and vocational training are the most significant factors contributing to poverty across HCMC’s population. Types and scopes of deprivations vary among resident groups and locations. Within the city’s boundaries, rural people are more deprived than urban people in general, and more deprived in access to safe water and health insurance in particular. Although the deprivation in safe water is significant for HCMC as a whole, this deprivation is not an issue for some districts. Even within one district, the situation varies between city wards. 4. In urban areas, migrants are generally multi-dimensionally poorer than other residents: The surveys carried out as part of our work were the first official poverty assessments in HCMC to include migrants in their sample. By incorporating these populations, we could confirm that they indeed suffer a higher rate of poverty than permanent residents. Global research suggests they suffer most acutely due to the inaccessibility of services, in spite of the fact that they often have higher incomes than permanent residents. The HCMC case shows us that it is both necessary and possible to shine a greater light on the conditions of urban poverty. What we’re able to see, however, depends on what tools we use. The MPI has the potential to be adapted and adopted by city stakeholders for use from everything from assessing whether the government’s policies are benefitting the poor, to identifying which households to select for targeted assistance. Making invisible urban poverty visible will be the first step towards tackling it, in building more inclusive, sustainable societies. This entry was posted in Climate Change, English / Tiếng Anh, urban planning, urban poverty, Urban resilience and tagged climate change, migrants, MPIMPI, multi-dimensional poverty index, poor, UNDP, urban development, urban poverty, urbanization. Bookmark the permalink.